David Fales worked for decades, all over the US, in the food processing industry. He served as the North America business management team leader for Fresh Express, the retail bagged salad manufacturer, when the company had a 40 percent share of the market. He also worked for Simplot, one of the country’s largest French fry companies. But with all his North American experience in retail and food service, Fales still had one dream. “My goal, after 30-plus years in food companies, was to come back to Wyoming and take Wyoming beef internationally,” he says. And that’s exactly what he’s done. In November 2010, Fales and his wife Kristine began writing the business plan for Wyoming Authentic Products in order to sell Wyoming Gourmet Beef in high-quality beef products like steaks, jerky and beef sticks. Starting the company in 2011, Fales picked a good time to bring his beef to market. The company only sells beef from Wyoming-born-and-raised Angus cattle, fed on grass and grain with no hormones or antibiotics ever, which dovetails nicely into many of the leading trends in food production. “People value that we’re all natural,” Fales says. “I can trace an all-natural Angus beef stick, made without chemicals, MSG, nitrites, added hormones or antibiotics, right back to the ranches they come from. Even with [food distribution company] SYSCO, they love it because we put the name of the ranch on every box we ship.” Though the company is still in startup mode, Wyoming Gourmet Beef All Natural snack products are found in more than 40 states nationwide in chains such as Cracker Barrel and 7-Eleven, and throughout Canada. Stories like Fales’ aren’t unusual in Wyoming. In 2014 the agriculture sector output in Wyoming totaled $50 billion. As the third largest sector in the state’s economy, agriculture and food-based enterprises are nurtured there. A total of 11,700 farms and ranches operated in the state, accounting for a total land area of 30.4 million acres. Wyoming is ranked first nationally in average size of farms and ranches, and is ranked 11th in total land in farm and ranches. But having a great product that consumers want is only part of the story. 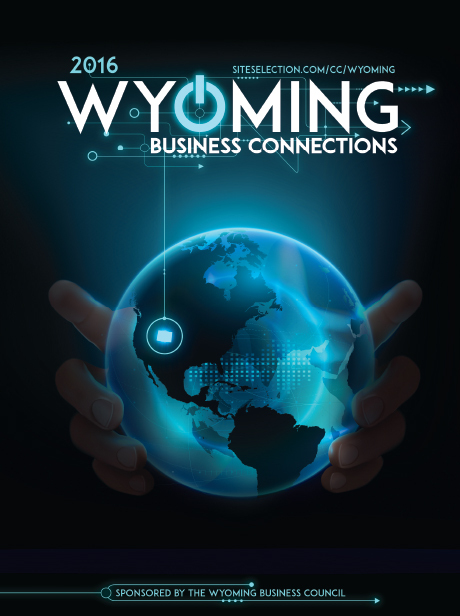 Fales credits the state’s “fabulous” business climate and state economic development agency — the Wyoming Business Council (WBC) — with helping position the company to grow. For example, the company uses a USDA-certified slaughter plant in Colorado, two hours from the feed lot, since Wyoming doesn’t have such a facility. Working with the WBC and Forward Cody, a local economic development organization, Fales was able to get the state’s only USDA-certified, value-added meat processing plant built in Cody, where his company produces jerky, beef sticks and Angus strips. The facility was built with a $1.2-million Business Readiness Community grant from the state, and the company has a low-cost, long-term lease. The WBC doesn’t just focus on livestock production. The state’s total crop production for 2014 reached $473 million, with hay leading the way at $317 million. In fact, when it comes to hay production, Wyoming rakes in the awards. At the world’s largest dairy show, the 2015 World’s Forage Analysis Superbowl at the World Dairy Expo in Madison, Wis., Fegler Farms located in Arapahoe came in first in the Commercial Hay Division. Four other Wyoming hay producers ranked in the top 10 in the Commercial Hay Division. Another hay producer ranked in the top 10 of the Grass Hay Division. At least 20 Wyoming hay producers attended the Expo. The WBC pays the entrance fees for the state’s top five hay farmers as a way of promoting the product to new markets.